Sheffield Wednesday are today being linked with a move for Sunderland midfielder Lee Cattermole. The 30-year-old has been a key man for the Black Cats over the course of this season and has been impressive in the main down in League One. However, according to Alan Nixon, his former manager Steve Bruce is now interested in making a move to bring Cattermole to Hillsborough in either a loan or swap deal in the summer. 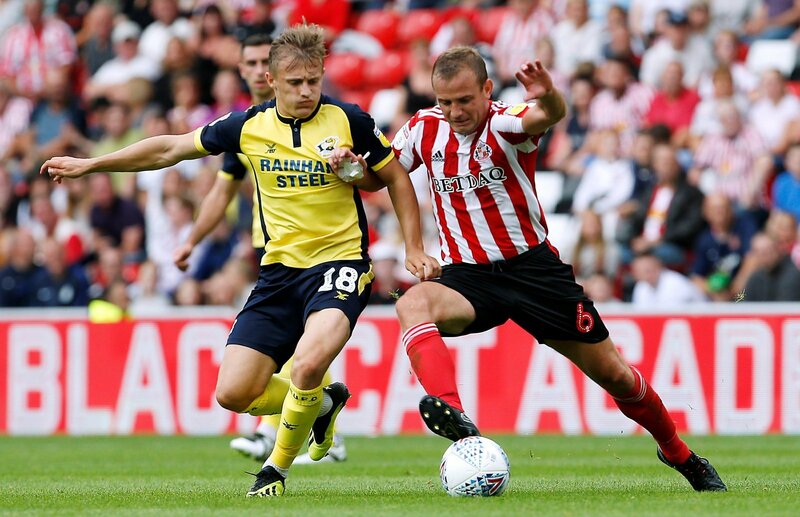 Cattermole, who is known for his all action style and aggressive nature in the middle of the park, is not the most glamorous of signings for a club like Wednesday, but could he actually be of use to the Owls if they can indeed manage to seal a deal for him? “I’m really not sure about this one. “Is this really a player Wednesday should be tracking? They already have some good options in midfield. “I can see the value. “What I can’t see is him leaving Sunderland. “He won’t have stayed there to get them promoted and leave. “It’s not exactly a bums on seats sort of signing, but it might be an efficient one if they can pull it off. “As good as Sam Hutchinson is, he’s almost guaranteed to miss games through injury, meaning Cattermole might be the ideal pick up.